Scooter girl started out as an abandoned project by one of our favourite clients. When the project was put on hold they were kind enough to let us keep her and share her with everyone. 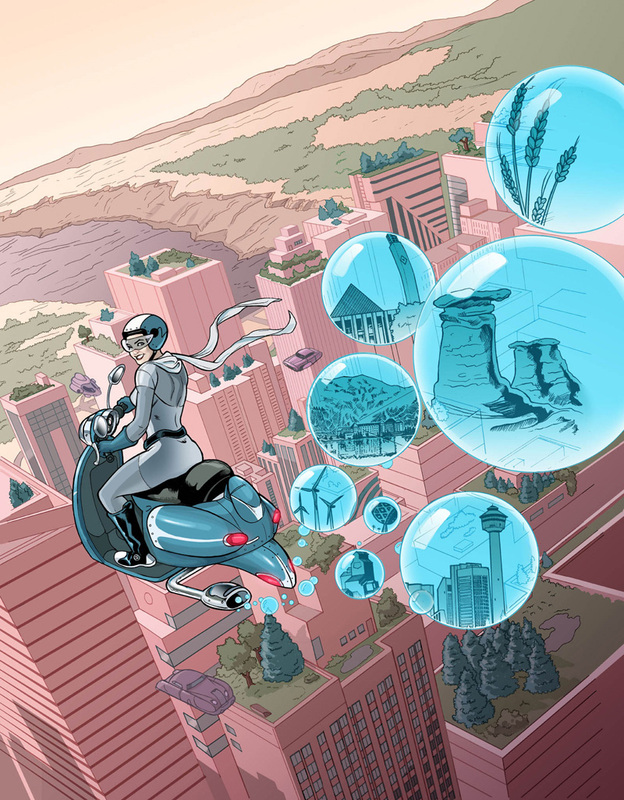 She's flying above a futuristic Alberta city with images of Alberta landmarks in her scooter bubbles.